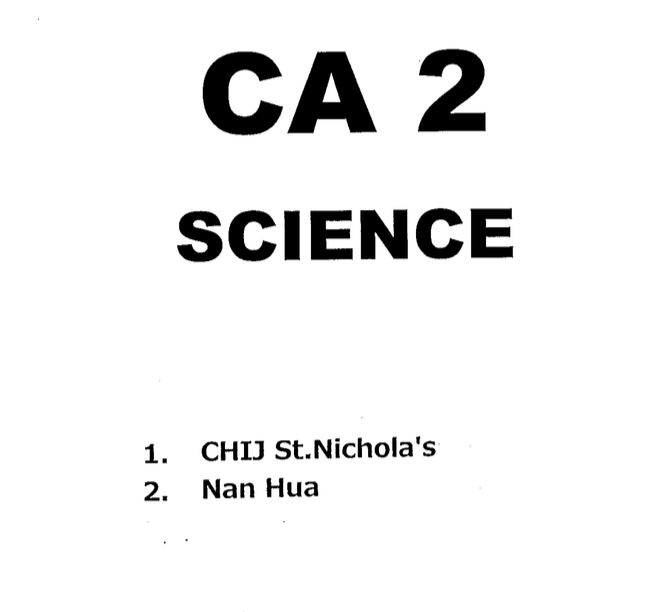 2 CA2 primary 4 science papers from 2 good schools! I believe in helping as many students as I can with my notes and papers. Feel free to contact me if you have any difficulty in answering any of my questions and I will try my best to help!